This year we collected over 250 pounds of candy to donate to Family to Family Thanksgiving Dinner Program! 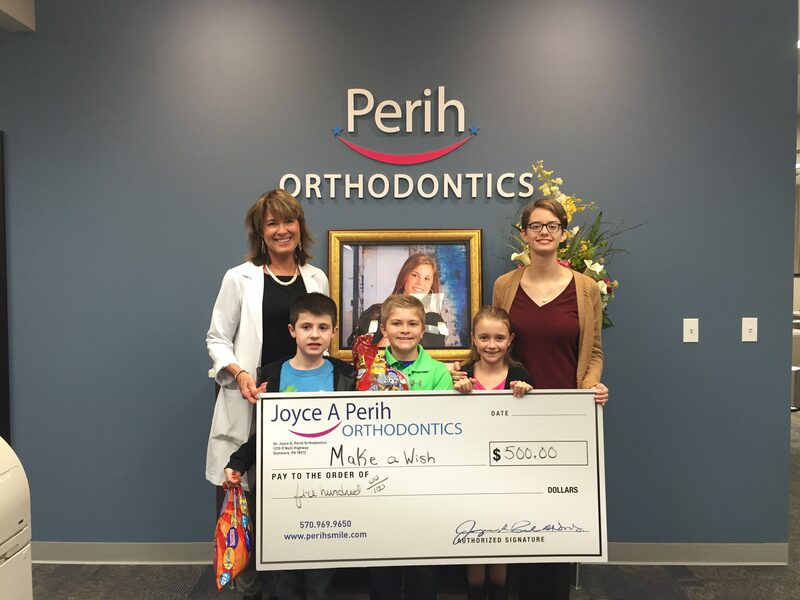 Patients from our office donated their unwanted Halloween Candy in return for ortho dollars, less broken brackets, and the top donators recieved cool prizes like a bowling party for 10 with Glow Mini Golf at Idle Hour Lanes, an Amazon Kindle Fire, and a Target Gift Card! Pictured are this years winners Owen, Braeden and Mikayla! In addition, the youth group of St. Catherine of Sienna Church in Moscow, PA helped collect candy within the church and repackaged it for distribution through Family to Family. In return for their participation, Dr. Perih donated a dollar for every pound of candy collected in the church to a fund raising money for a new youth group van! 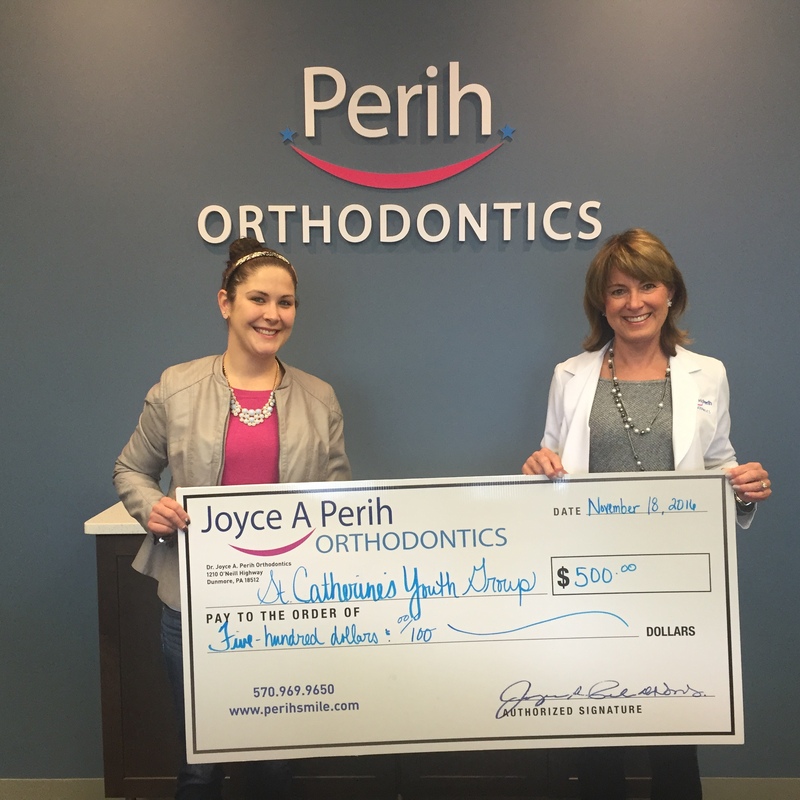 Pictured are Dr. Perih and youth group leader Shannon Kowalski.